It’s inevitable that mistakes will happen whether they are by human error or computer generated mistakes that for the odd occasion can cause problems when it comes to your finances. There are so many ways to pay your bills these days whether it be in person to the organization, at the bank, with a credit card (for points), online bill payments and I’m sure there are a host of other ways to pay your bills. The key is to pay them once and to pay them on time while making sure you are paying for the services you used. We have a bill payment calendar set up on the computer in excel so we know exactly when our bills are due and the general amount they are unless they are fixed as that would be the same amount such as the mortgage payment each week. Just when we thought we were an organized couple financially we go and make an error this week that I wanted to briefly touch on this month because for some it may not be a huge deal but for those that might have limited funds it may be a huge deal. When the bills come due we have always been pretty strict about paying them on time to avoid any form of interest or late fee charges which is money blown out the window in our opinion. 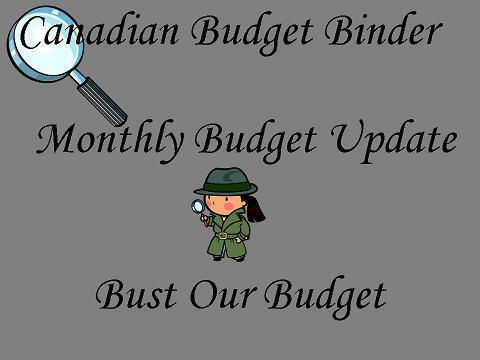 Typically one of us pays the bills each month and we look over our payment calendar and then head to the appropriate website to view our bill, the payment and the due date to double check the information. After that point we make monthly payments for the most part based on that data and everything works out fine. I know all of you that have your bills automated are shaking their heads thinking that this is far too much work and you would never do it and that’s fine we enjoy manually paying for our bills. The automated bill payment services definition to me means that whatever they deem your bill to be during a particular period in time they will remove that money from your bank account because you have allowed them the access to do so. We were never big on allowing companies to pull out money from our bank without us first reading the bill and making sure the numbers all made sense. Most of the time in the UK I paid each bill individually by cheque as and when it arrived in the post. This then got gradually changed over time to direct debit as most UK companies ran a scheme where they would give you a discount if you signed up. It’s a shame they don’t run a similar scheme here, I’d be all over that. If you are someone who lives pay cheque to pay cheque or doesn’t have enough money to get to the end of the month or to pay all of the bills an extra bill payment, an incorrect bill automated or doubling up by accident manually could mean big consequences in the form of extra fees, cancelled services or even to your Canadian credit report which you can order once per year for free. A Reliance energy online payment was made twice by accident this month because we not only received the bill in the mail we received the email prompting us to pay. We were so busy the past few weeks that it slipped our mind that the bill was paid. Now, we could add a feature in our budget to show us that our bill has been paid which I may end up doing to stop that from happening again or I can add something to our payment calendar although I do like the thought of the information being available at the budget level where we spend most of our time each week adding data. Well, common sense dictates that we should have checked our bank account first to see if the payment was made but we failed to do that. I guess we just weren’t thinking with our thinking caps were we but that’s ok mistakes do happen. It only taught us that we must be more diligent and organized when it comes to the bill paying process otherwise simple errors like this could happen again even though the money will be credited to our account. The problem is now our money is not working for us it’s working for Reliance which is what we don’t want to do. 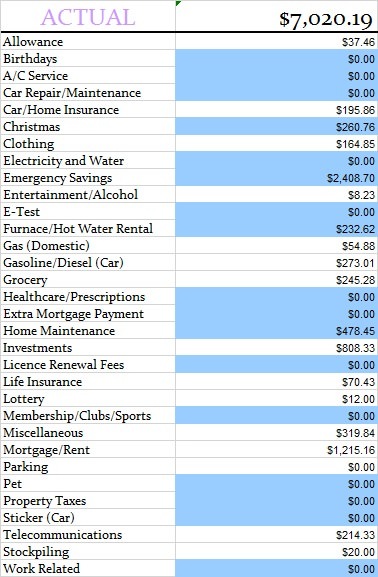 You may think $116 is not lots of money but what if the bill was much higher. Sure we could request to have the money transferred back but I’m sure they would charge us for this reversal and it might take time. If you rely on every dollar in your bank account this could be a costly error. Then again if a company over-charges you through an automated bill payment it may also be costly and take time to sort out. How about if you have an automated pay from your employer and you are short changed? It’s imperative to read, read, read and keep organized. Automation is not free from error and you are your own quality control manager of your financial account. Probably not but the best defense is to stay organized, read any bills that come in thoroughly and stay on top of our finances so we don’t run into this issue again. So, Reliance now has 2 bill payments made online through our bank which means we are paid up for the next 6 months not including the increase of charges starting in 2014 which we will still owe. Have you ever paid your bills twice by accident or had an automated bill payment with incorrect figures which cost you more money then you were supposed to pay and was debited from your account? The only real changes to the budget this month came in the form of our telecommunications bill once yet again. When the bill came in we found out that we went over our long distance usage on the cell phone since I was away. I will talk more about this topic in my Wednesday post so you can read about what went wrong and what we’ve done to change our bill. 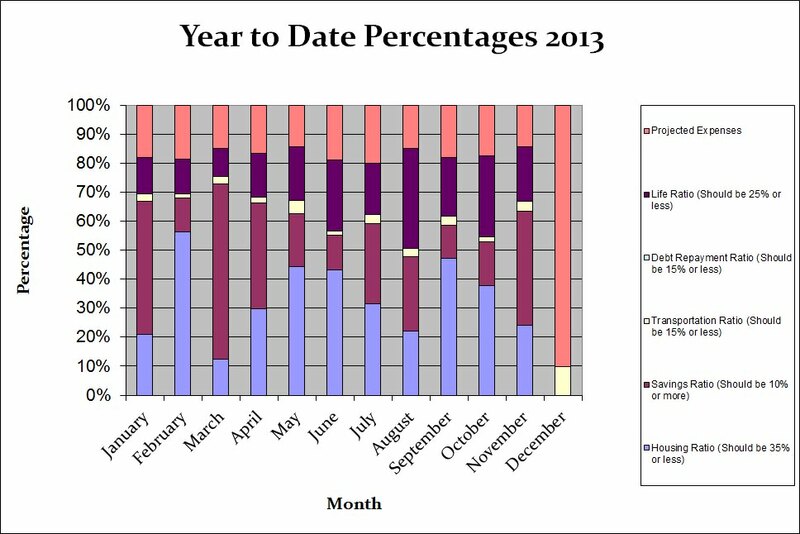 Sort out and pay mortgage in full- It has to be done by April 2014 but that exchange rate keeps going up …. decisions. That’s all for this month check back at the beginning of January with our 2013 budget overview of the year and hopefully a 2014 budget update and who knows maybe some good news. I am a dinosaur in some ways but not in others when it comes to paying bills. The only automatic payments I allow are the ones for our life insurance and our auto insurance but only for 12 months at a time at a rate set-out in a schedule at renewal time. I don’t like the idea of authorizing anyone to willy nilly take money from our account. Plus, I don’t earn any interest on our chequing account so I don’t keep any more in there than absolutely required and although we have a small line of credit on my chequing account…I am not interested in dipping into it and the associated fees because some creditor took more than expected. I still pay our municipal property taxes with a cheque each year that I take right to the cashier at city hall and have it date stamped. I have a copy of the cancelled cheque (front and back) from my bank account to show proof of payment in the property tax file. All of our bills with the exceptions of insurances and taxes are done by e-notification and I download the copies of the invoices. I prefer not to have mail coming to the house as we have a mail box outside our house. Junk mail and flyers can go in there but I really restrict how vulnerable we are to theft… especially at this time of year. I do a mix…this was our third month of being a month ahead and it makes things much easier. On the first of the month I pay any bills that I have the amounts for and pull out cash for the envelope categories we have the hardest time staying under budget with. My insurance bills, car payments and daycare bills come out automatically. I have never experienced errors from autodraft, but have made lots on my own! 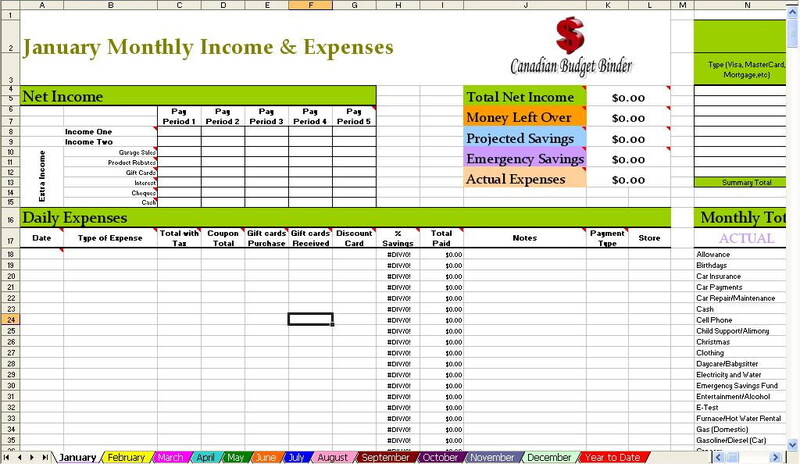 In my budget sheet I have a budget amount and actual amount. I am the only one in the house that handles the bills (hubby and I discuss and agree on everything, I just handle the work) so as soon as I pay the bill I enter the amount in the actual category. Most get done immediately at the beginning of the month and as the straggling autodrafts occur I enter them as spent so I know it’s done! Even though my bills come out automatically I still receive bills very month with the typical grace period before they come out. I watch them like a hawk…for example the cable bill arrived and surprise they hiked the bill by more than $20. They thought we’d be ok paying $85 for JUST internet! We were on the phone the next day and got it dropped to $53! These last three months of being ahead have made a world of difference! That stinks…I hear you with getting busy and forgetting that it’s already set up! Organization is key and slowing down for a minute or two. Pretty much all of our bills go the automatic route. 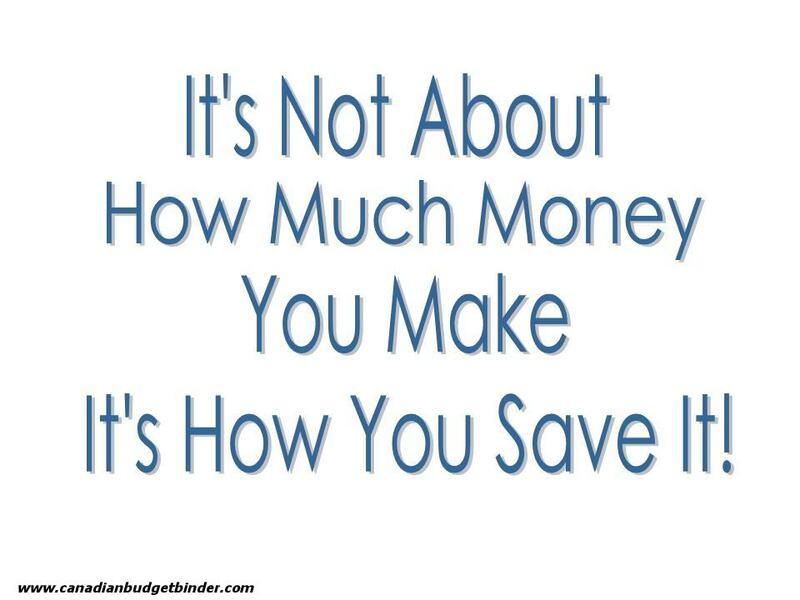 We have to pay MasterCard, Rogers and the Redi-line ourselves and hubby does those online. We get a paper bill for everything except M/C and Rogers. Those we have to run down online along with the bank statement. Not too happy about that!!! What we do is have everything in a drawer here. A paper bill comes in and gets parked in a clip labelled- To Be Paid. Once it’s paid (by us or automatically) the bill goes into the other clip…Paid. The next month’s bill comes in and we repeat the cycle with the old bill pulled and shredded. Things like the truck garage bills we pay and then the bill flips from one clip to the other. The ones we pay online we get a reference number from the bank to say we paid it. That number is written on the bill itself and in the chequebook register as the bill is paid. I run through the bills every Thursday as that’s when we take the weekly mortgage payment out. Might look a little crazy if you just look over the dates but it works for us. We use the budget plan with Union Gas and the true up is Sept.’s payment. Last year We had over paid them so much thanks to the price they paid for natural gas that we didn’t pay a full month’s payment until Dec!!!! We could have had them send us the money back but I just figured I’d let the money pay the bills for a couple of months. That over budget amount for the cell phone bill is not the worst I’ve seen. Back a number of years ago we had two of the three kids away from home for a few weeks in the summer. This was back when you could get a card from Bell that let any long distance calls go through at the direct dial rate instead of having the kids call home collect and we pay that rate….. I was going to get the two kids each a card for calling home but hubby refused to do that….didn’t want to encourage them to call home all the time. Nice try, we had two very homesick kids calling almost every day. The older boy was calling from CFB Borden (Basic training) and our daughter was calling from St Boniface Manitoba where she was on a second language immersion program!!!! Trust me… you don’t want to know what those phone bills were like!!!!! When the older boy was sent on course to Halifax a few months later I handed him the calling card right in front of hubby and hubby didn’t say a word this time. He didn’t dare. Most of our monthly bills go on a credit card, so that usually works out well. However, we have paid our rental’s sewer bill twice before and felt really stupid. We pay some things with our credit card to get points.All of our bills are automatically paid each month from our on-line bank. I have set up the amounts and dates of the payments, and I can change them at any time.Only the mortgages come out automatically. 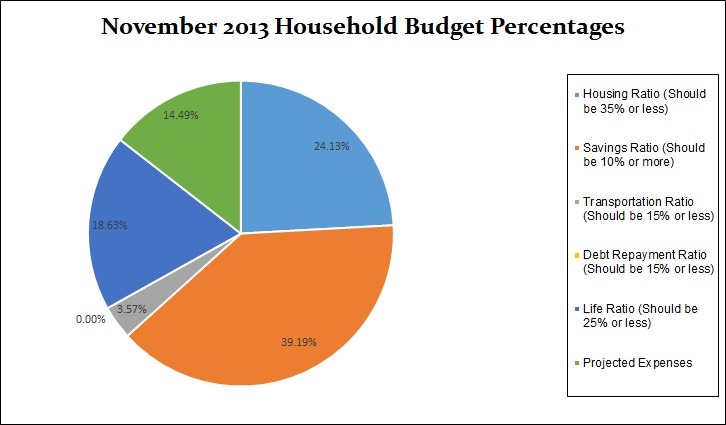 For bills like electricty, we go on a budget plan. I still pay extra each month anyways. The worse that can happen, I have a credit at the end of the year.That’s better than owing them. I pay everything via direct debit. They rarely make a mistake and if they do, you just cancel the DD until they correct the mistake and they’ll be quick in doing it.